With the many devices and peripherals you have plugged into your computer, a little help with the electricity bill is always a welcome development. You may want to try out PowerUSB Basic, which knows when to power on your plugged in devices and when to shut them off to save energy and money in the long run. 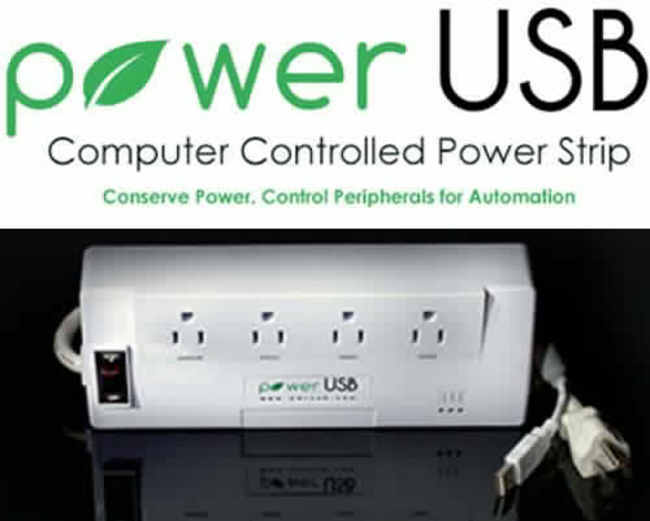 The PowerUSB looks and acts like your regular power strip or extension cord. Except this has three outlets that may be programmed via software when to turn on and off, with the last power outlet always on. It is a nifty feature to have control over when to have the outlets powered, especially when you have multiple devices connected all at once, like your phone or tablet. There’s also a software based overload protection and a fused power switch built into the PowerUSB, making it a welcome addition to your setup.